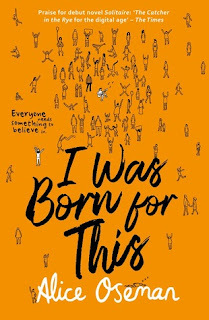 I Was Born for This is a book of celebration, of fandoms, of individuality and of our friendships - our ability to make human connections in the most unexpected of ways. What made this book even more special is the casual use of diversity representation. 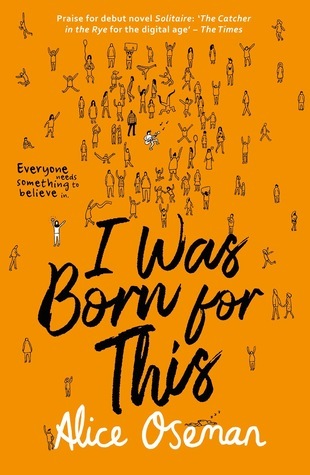 I Was Born for This is told in two perspectives: Jimmy Kaga-Ricci and Angel/Fareshteh Rahimi. Jimmy is an internationally worshiped musician, who just also happens to be Trans, Gay and born of Italian and Indian parents. Angel is a fangirl of Jimmy's band, and just so happens to be Muslim. Not only is there ethnic, sexuality and gender representation, but Oseman somehow writes anxiety in a way that bought this book way closer to home I had expected it to. I understood a lot of Angel's thought paths in her social interactions and Jimmy's constant struggle with his overthinking. Something else I think that this does well, is proving our need, as humans, to build relationships and connections at the age of Angel and Jimmy. 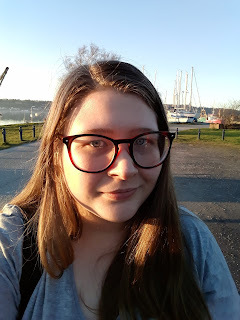 How Angel's connection to fandoms can be cruicial to teens, they are what that person needs in order to shape their identidity and ideas of the self. It's funny. Okay, 'funny' isn't the right word here, but this book brought me back to some events that have occurred in the past year or so. Especially surrounding the deaths of rock singers Chris Cornell and Chester Bennington. To anyone out there, who isn't aware, Chester Bennington and Linkin Park are my all time favourite band. They are heavily involved in some of my earliest memories and were the first band I ever saw live at 9 years old! And I just want to draw this back to reminding everyone that we don't know what's happening behind the mask of someone in the public eye, nor the people we come across in the street, or even our closest friends and family members. What we see is one level, a trampoline that we can only push to jump on, before being bounced back to the surface. Be kind!